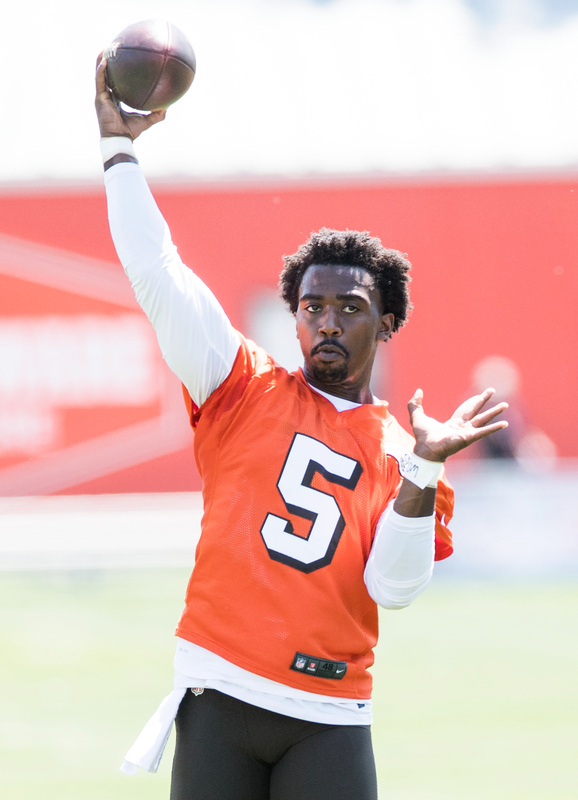 Despite using the first overall pick on quarterback Baker Mayfield, the Browns are open to extending the contract of fellow signal-caller Tyrod Taylor, who is entering the final year of his current deal, as general manager John Dorsey explained to Kevin Clark of The Ringer. Taylor, who turned 29 years old on Friday, would surely be searching for starting quarterback money on any extension. He’s currently set to collect $16MM in total from the Browns during the upcoming season, and it’s difficult to imagine Cleveland paying two passers double-digit annual salaries, even though Mayfield’s earnings will be suppressed by the NFL’s rookie slotting system. Makes sense, Baker will need a good backup and Tyler won’t get another starting job after this season. As the article mentioned, Taylor is not going to accept the salary of a backup guy. I can think of at least 2 teams that would have an interest in him as a starter. The Cardinals are rolling the dice on Bradford who can never stay healthy and the Dolphins were so desperate they were thinking of retaining Jay Cutler. Dolphins QB situation isn’t great. I agree. But the Cardinals have a first round QB being groomed by Sam Bradford and company. The Cardinals track record developing first round QBs is simply dismal. Steve Pisarkiewicz, Kelly Stouffer, Matt Leinart were busts. Namath doesn’t count because he opted to play for the Jets. It’s reassuring to have a quality QB to back up a young gun with supposedly high potential (wasn’t the biggest fan out the draft on Mayfield but I’m keeping an open mind) plus you can still get that late round Qb depending on the roster and depth at the time. How many late round quarterbacks are actually successful? Zilch. Johnny Unitas, George Blanda, Jack Kemp, Brad Johnson. If Tyrod plays well and signs an extension and Baker keeps developing, that’s a good problem to have. If they’re lucky enough to end up in that spot, they can worry about it then but until it happens it’s no big deal. It’s been 25 years since they’ve had one good QB, let alone two.